The Artemis Fowl author and longtime ChildFund sponsor appeared at the Carnegie Library in Blackrock last Friday for ‘A Books Journey from Dublin to Zambia’. 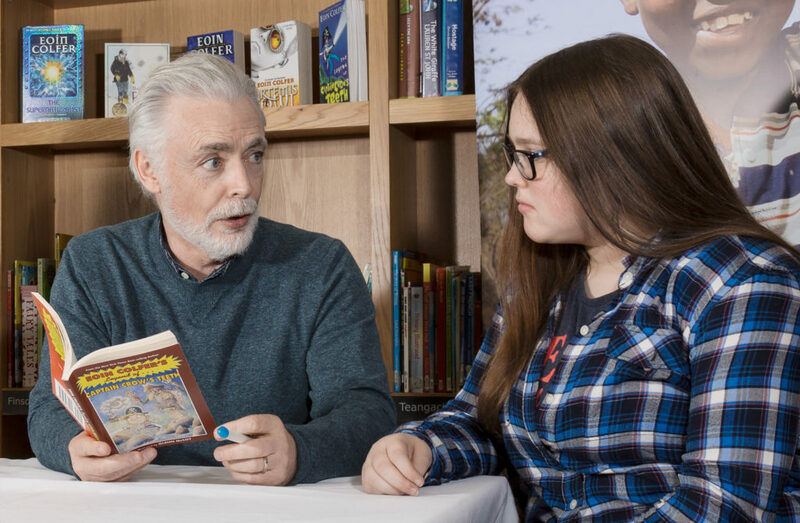 Eoin Colfer and Sasha Lorigan at the book signing event in the Carnegie Library: Dublin, March 3rd. 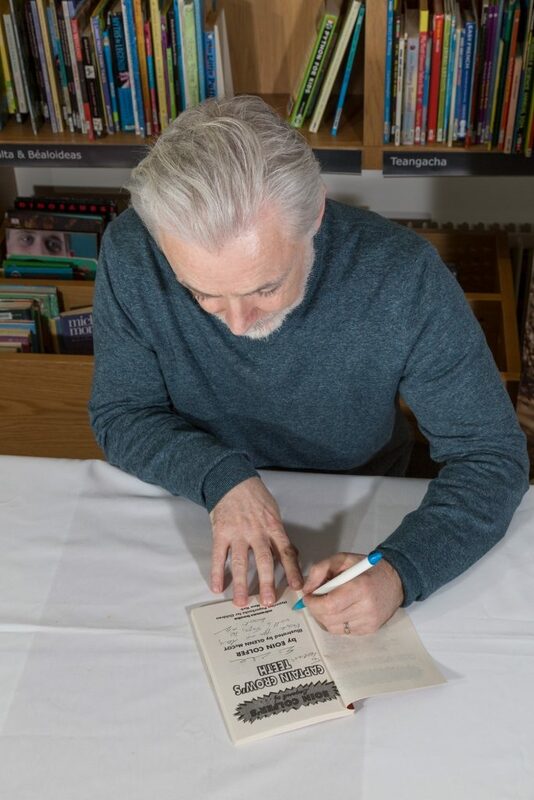 ChildFund would like to extend a warm debt of gratitude to the hugely talented and globally renowned author Eoin Colfer for giving his time to support our work last Friday. Eoin is a long time supporter of ChildFund and sponsors a number of children through our organisation. One of those children is a twelve year old girl from Zambia called Loveness who has been sponsored by Eoin since she was just a little girl. The event on Friday was titled ‘A Books Journey from Dublin to Zambia’. The significant book in question was signed by Eoin and will be brought to Loveness’s project in Zambia by Michael Kiely, CEO of ChildFund, and Sasha Lorigan (pictured above). Sasha (15) has worked tirelessly to encourage donations of children’s books, toys and stationary items for other disadvantaged children in Zambia. 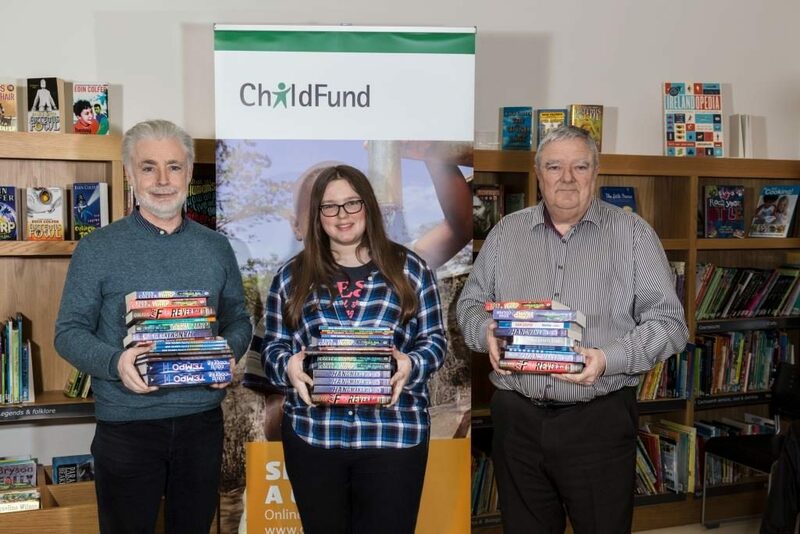 ChildFund would again like to sincerely thank Eoin Colfer, Sasha Lorigan, and the staff of the Carnegie Library in Blackrock, Co Dublin for assisting in this event.